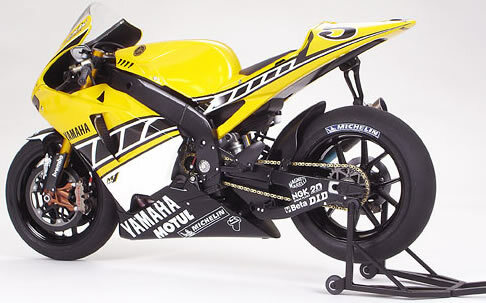 << Back TAMIYA "Yamaha YZR-M1 50th Anniversary U.S. Inter-coloring Edition"
TAMIYA "Yamaha YZR-M1 50th Anniversary U.S. Inter-coloring Edition"
The distinctive yellow body with black strobe pattern is based on the image colors of Yamaha International Corporation (Y.I.C. 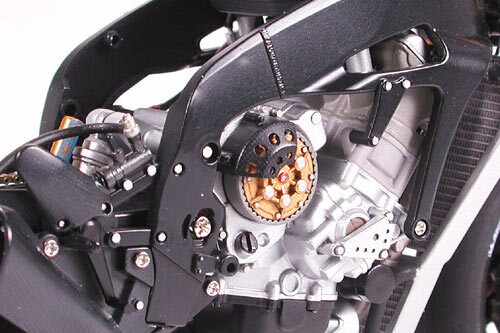 ), predecessor of Yamaha Motor Corporation USA founded in 1977. It was the coloring featured on the YZR500 which won three consecutive 500cc Grand Prix in 1978-80. 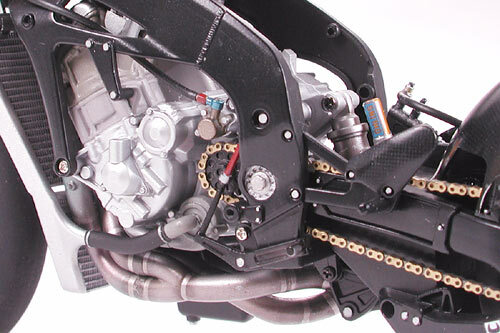 This particular coloring and graphic has long been popular with fans, and is an important part of Yamaha racing history. Gauloises Team Yamaha chose this color scheme for its special edition bike that raced in the 2005 MotoGP Round 8, U.S. Grand Prix. 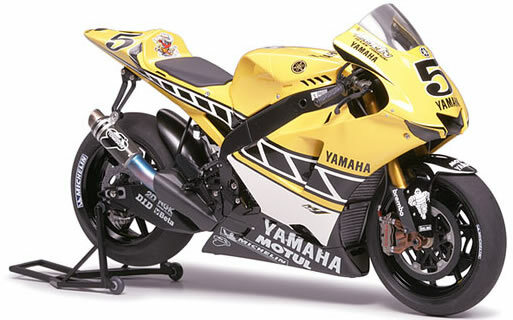 Detailed 1/12 assembly model kit of the Yamaha YZR-M1 U.S. Inter-coloring edition. 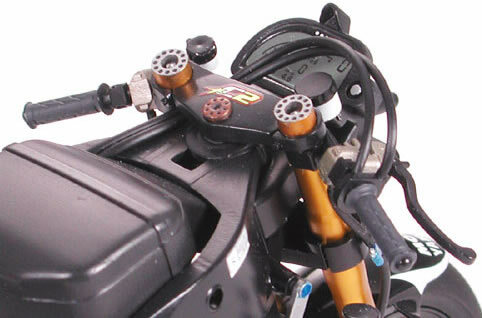 3 new molds faithfully render the YZR-M1 2005 model?s in-line 4 cylinder engine, main frame and rear shock unit, as well as cowling to accurately reflect differences with 2004 model. Side and seat cowling may be removed even after assembly to display internal mechanics. 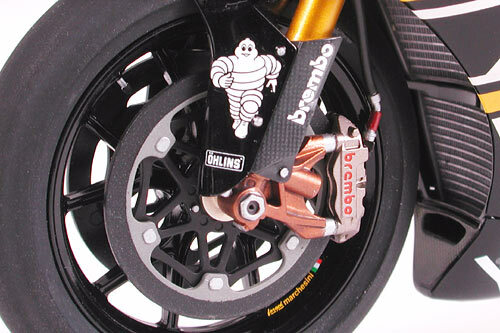 Realistic synthetic rubber tires feature Michelin tire logos. Includes colorful decals to replicate yellow & black markings. Markings depict bike No.5 Colin Edwards (US colors). Brake and throttle hose comes as vinyl tubing.